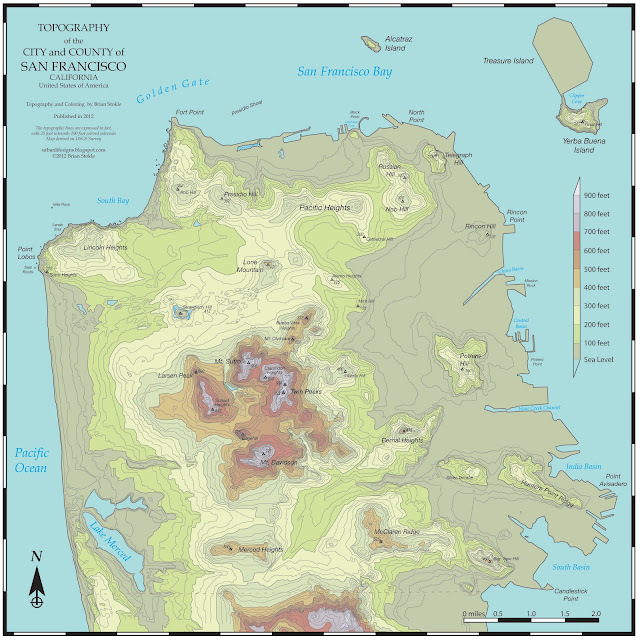 With the production of the San Francisco Archipelago Map by Urban Life Signs and Burrito Justice (here and here), showing 200' sea level rise, it's time to produce a more likely map of what San Francisco would look like with a 25' sea level rise. This could actually happen in our lifetimes if the ice sheets in Greenland or Western Antarctica completely melted. We'd get 50 foot sea level rise if both melted. Now you can put one of these images on your wall as a poster! Below is a blow up of northeast San Francisco showing how Yerba Buena Cove and Mission Bay would return to their watery origins. 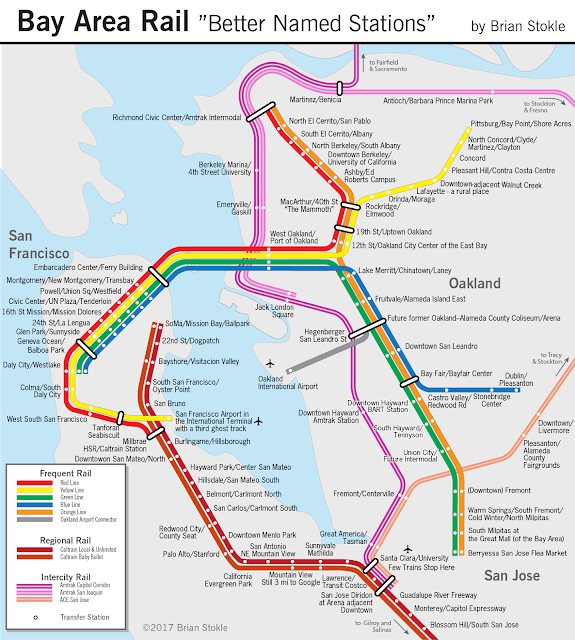 The Marina would become a shallow bay, and Yerba Buena Island would split in two. 16x16 $20 ON SALE FOR $19.05 today! Make sure to select Semi-Gloss. For 200 foot sea level rise maps (a.k.a. 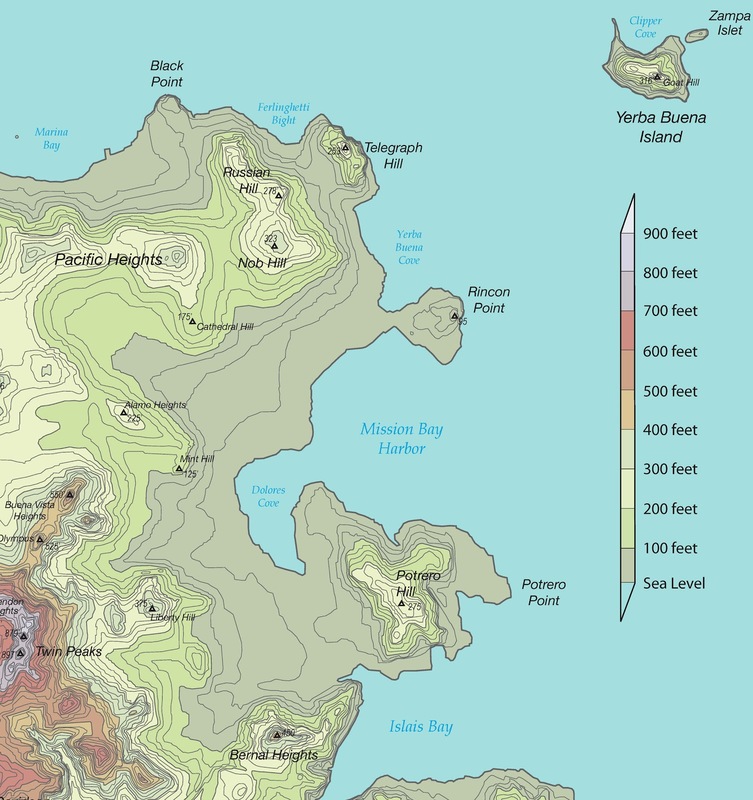 San Francisco Archipelago Map, go here. 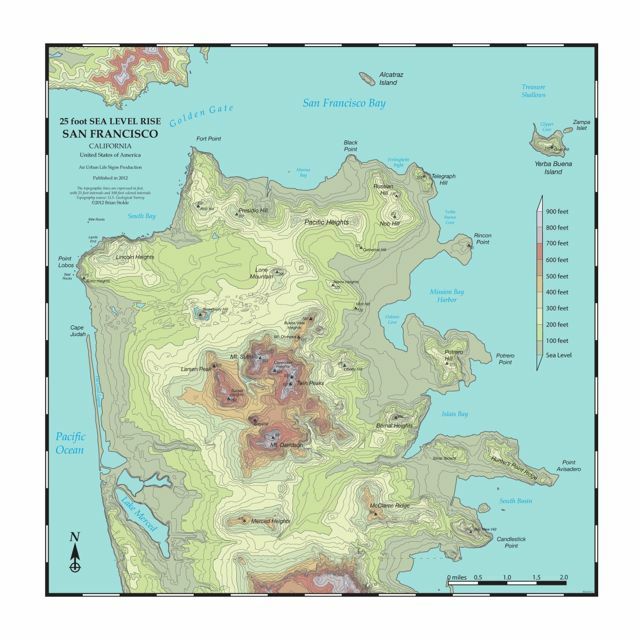 For good old 0' sea level rise maps of San Francisco, go to Urban Life Signs store at Zazzle. Just make sure to keep the maps dry as the sea rises. How about we build a mile wide sea wall from florida to cuba to yucatan and drain the gulf of mexico - establishing the US states of Cuba, Mexico and turn the gulf into a rainforest with oil fields and a coastal city that literally runs from florida to Mexico via cuba? the Florida substrate is porous and can't keep out sea level rise. Goodbye parking lot - hello housing?